Be into win an iPad! 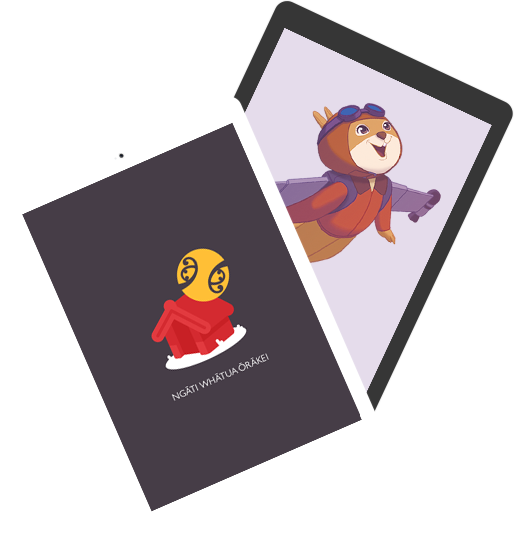 With the launch of our Māori Alphabet Book, we're awarding two iPads to a few lucky someones! They also love going on adventures. Zippy’s Tales is a transmedia storytelling experience that uses latest immersive technologies such as Augmented Reality, Virtual Reality and Mixed Reality to tell traditional folktales from around the world in an exciting new way. Zippy lives on a floating tree in space and explores life on earth through the myths, legends and folktales that have been passed down from generation to generation. Along the way, she learns values like responsibility, courage, trust and resourcefulness. Join Zippy on a cultural safari using virtual reality and learn about all the wonders of the world such as Taj Mahal, Great Wall of China etc. A fun and engaging experiential theme park campaign that was trialled at the Central City Library in Auckland. Subscribe and become friends with Zippy so that she can share her updates with you !